"You were kind enough to inform me of your project regarding the expansion of the Jewish colonization of Palestine. You expressed to me that, if the circumstances were allowing for that, and if on another hand, the independence of the holy sites was guaranteed, it would then be a work of justice and retribution for the allied forces to help the renaissance of the Jewish nationality on the land from which the Jewish people were exiled so many centuries ago. The French Government, which entered this present war to defend a people wrongly attacked, and which continues the struggle to assure victory of right over might, cannot but feel sympathy for your cause, the triumph of which is bound up with that of the Allies. I am happy to give you herewith such assurance" (7). Palestinians and others in the Arab world were immediately alarmed. This declaration was issued when Britain had no jurisdiction over the area, and was done without consultation of the inhabitants of the land that was to become a "national home for the Jewish people." The declaration also wanted to protect "rights and political status" of Jews who choose not to immigrate to Palestine. However, the native Palestinians are simply referred to as non-Jews and their political rights are not mentioned but only their "civic and religious rights". The Jules and Balfour declarations are two documents that demonstrate the support made to the Zionist supranational entity that facilitated giving them control over a land that neither of the two governments had control of at the time Some British authors have provided explanations of this support based on a quid pro quo for Weizman's contribution to the British war efforts through such efforts as the development of better chemicals for explosives. Some argued that it was related to Britain's simple domestic situation with many Zionists both in the government and among the electorate. It could also be argued that Britain and France now had more reason had to benefit from a revival of their early 1840s desires to settle European Jews in Palestine as a way of a structural remodeling of Middle East geopolitics. Undermining the Ottoman Empire, which was now allied with Germany, provides only partial explanation and a poor one at best. Jewish population in Palestine at the time was minuscule and most and was hardly in any position to engage in resistance against the Ottoman Empire. By contrast, nationalistic Arabs from the Arabian Peninsula were willing to oppose the Ottoman Empire and eager to liberate their native lands from the grip of the Turks. England in fact promised to support their independence as a result of their convergent interests as supported by documents such as the British correspondence with Sharif Hussain of Arabia and in the memoirs of T. E. Lawrence ("of Arabia"). As historians do, there is much argument about the factors and their relative importance that led to the decisions made by the governments in question. Much is now written about how the US entered the war and the possible role of influential corporate interests and US Zionists in bringing the US media and government to support the war efforts. The British had also made a promise of independence to the Arabs if they aided them in opposing the Ottoman Empire. This was one of many "promises" but it was the one that was to over-ride all others as concrete actions were to reveal in just a short period of time. It important to note that these governments declared their public support for Zionism, even while simultaneously making private assurances to Arabs. The British and French public support was later joined by the Americans. The fund was registered on March 23, 1921, as a British limited company. The executive of the Zionist Organization chose the chairman of the board and its members Funds that were collected helped finance the two largest projects to industrialize Palestine in the late 1920s; the Electric Company and the Palestine Potash Company (PPC) (10). Moshe Novemiesky, a leading Zionist, founded the PPC. In 1929, the British Colonial Office gave a concession to develop mineral resources in the Dead Sea to the PPC. The PPC was instrumental in generating large amounts of money funneled to the Zionist program. In 1952, after the state of Israel was established, the company became an Israeli State nationalized agency called the Dead Sea Works (11). Arthur Rogers described the contribution of this British Concession to financing the Zionist movement after 1929 in his 1948 book (12). In the book there is a description of the report by the colonial office in 1925 on the fabulous wealth to be derived from the Dead Sea minerals. There is also a report of a Zionist Conference in Australia in 1929 in which Zionists were ecstatic about the fact that Britain gave this concession to a committed Zionist by the name of Novomiesky. "I may say at once that if Britain and the United States emerged victorious from the war, the creation of a great Jewish state in Palestine inhabited by millions of Jews will be one of the leading features of the peace conference discussions" (14). "Unauthorized statements have been made to the effect that the purpose in view is to create a wholly Jewish Palestine. Phrases have been used such as that `Palestine is to become as Jewish as England is English.' His Majesty's Government regard any such expectation as impracticable and have no such aim in view. Nor have they at any time contemplated ..."
It is clear from this candid paper that the British undertook obligations under vague (I would argue intentionally vague) wordings likely to give them flexibility in implementation. The events between 1918 and 1938 had caused them up to reconsider their position. However, by this point forces were in motion that made a change virtually impossible The Yishuv were already strong and well armed in Palestine, Britain entered World War II, and Hitler's attacks on Jews made it less likely for the British to begin to enforce their curbs on Jewish immigration to Palestine proposed in the White Paper. One of the first acts of the nascent state of Israel in addition to instituting laws to prevent native Palestinians from returning to their homes and lands, was to repeal the White paper. And 100 years later little has changes as "Western Leaders Grow Deaf"
With Trump en route to the White House, new close Guantánamo video urges Obama to get the prison closed. I wrote “New Close Guantánamo Video Reminds President Obama He Has Just 70 Days Left to Close the Prison Before He Leaves Office” for the “Close Guantánamo” website, which I established in January 2012, on the 10th anniversary of the opening of Guantánamo, with US attorney Tom Wilner. Please join us — just an email address is required to be counted amongst those opposed to the ongoing existence of Guantánamo, and to receive updates of our activities by email. Video features photos of some of the 500+ celebrities and concerned citizens who have sent in photos this year for the Countdown to Close Guantánamo, and a new song, “Close Guantánamo,” by The Four Fathers. Following the news that Donald Trump has won the Presidential Election, the Close Guantánamo campaign has launched a new promotional video, urging President Obama to do all he can to fulfill the promise to close the prison at Guantánamo Bay that he made on his second day in office back in January 2009. We believe that the need to close the prison is more urgent than ever, given that, on the campaign trail, Donald Trump promised to keep Guantánamo open, to send new prisoners there, and to reintroduce torture. See the video below via YouTube — and please note it is also featured on our Facebook page, and is also on the homepage of Close Guantánamo website. The Close Guantánamo campaign was established in January 2012, on the 10th anniversary of the opening of the prison, by journalist Andy Worthington and attorney Tom Wilner, who was Counsel of Record to the Guantánamo prisoners in their Supreme Court cases in 2004 and 2008. 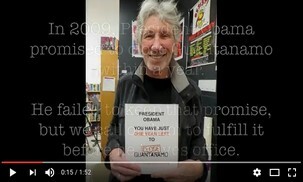 The Countdown to Close Guantánamo initiative was launched in January by Andy and music legend Roger Waters (ex-Pink Floyd), and over 500 celebrities and concerned citizens across the U.S. and around the world have sent in photos of themselves reminding President Obama, at 50-day intervals, of how many days remained for him to close Guantánamo. See the Celebrity Photos here, and Public Photos here, and here and also here. The newest photos are here. To get involved, print off a “50 days to go” poster, take a photo with it, and send it to us for November 30. You can also include a message to President Obama, if you wish, and let us know where you’re from. The video features, amongst others, Roger Waters, Brian Eno, David Morrissey, former prisoners Shaker Aamer, Moazzam Begg and Djamel Ameziane, Reprieve’s founder Clive Stafford Smith, Andy Slaughter MP, Fowzia Siddiqui, the sister of “war on terror” victim Aafia Siddiqui, attorney Nancy Hollander, Yahdid Ould Slahi, the brother of recently released Guantánamo prisoner Mohamedou Ould Slahi, Yemi Hailemariam, the partner of UK citizen and Ethiopian political activist Andy Tsege, kidnapped by the Ethiopian government and abandoned by the British government, journalist Yvonne Ridley, Joy Hurcombe, the chair of the Save Shaker Aamer Campaign, journalist and doctor Saleyha Ahsan, Joanne MacInnes, the co-founder of the We Stand With Shaker campaign, Mexican playwright Humberto Robles, and Muslim campaigner Suliman Gani. 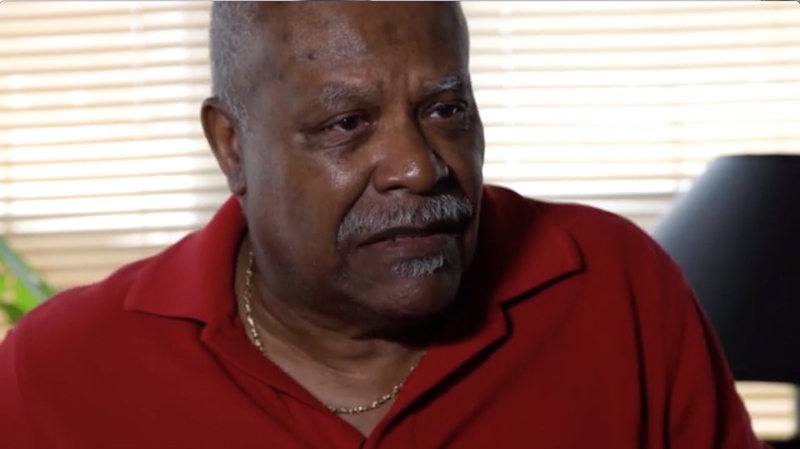 The song featured in the video is by Andy Worthington’s band The Four Fathers, who also performed the campaign song for the We Stand With Shaker campaign, and is available as a download here. For further information, and to discuss any aspects of the campaign to close Guantánamo relating to President Obama’s last ten weeks in office, and the significance of Donald Trump’s election victory, please contact Close Guantánamo. The talented and immensely prolific Australian novelist, Thomas Keneally, has published his thirty-fourth novel. Two of my favorites have always been The Chant of Jimmie Blacksmith (1972) and Schindler’s List (1982), novels so opposite in subject matter and setting that they tell us much about what guides Keneally as a writer. He doesn’t keep re-telling the same story again and again, even though some readers want that. Instead, he repeatedly strikes out for new territory. Jimmie Blacksmith was about the prejudice inflicted on Australia’s aboriginal people. We’re all familiar, I suspect, with Schindler’s List, in part because of the riveting film version, directed by Steven Spielberg (1993). So along comes Keneally’s most recent novel about Napoleon’s final years, guiding us into still another area, era, and focus. What an amazing career Keneally has had, beginning with his first novel, The Place at Whitton, published in 1964. And these facts do not even include a list of his many non-fiction works. 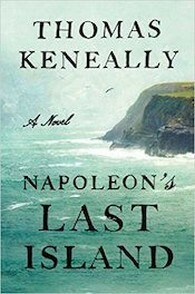 Napoleon is not the main character of Keneally’s new novel Napoleon’s Last Island, though his final years on St. Helena are central to the story. Earlier, he had been confined to Elba, but he escaped and returned to France, so his second incarceration—by the European allies who had fought France during the Napoleonic wars—placed him on the distant island in the south Atlantic. He still had to be watched carefully with security guards and ships patrolling the waters in case he and/or others assisted him in flight. Keneally’s story is related mostly by Betsy Balcombe, whose family moved to St. Helena when she was three years old. Her father was one of the managers of the East India Company. Because of its strategic location, the island was an important watering station for passing ships. 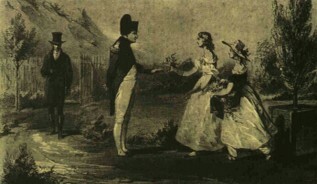 Betsy—along with her older sister, Jane—were briefly sent to England for their formal education, before Napoleon arrived on the island. But Betsy was always a bit of a wild child. She hated England but loved St. Helena, a better setting for her antics, to be certain. Thus, Betsy’s British education lasted only about a year, and by the time of Napoleon’s arrival in 1815, she was thirteen. The island had been a sleepy little place until Napoleon’s arrival, with the influx of all the soldiers watching him, doubling the island’s population overnight. Since the great military strategist’s facilities were not ready for him, he stayed temporarily with Betsy’s family (her parents, Jane, and younger brothers). It was during this brief period—when the construction at Longwood was being completed—that Betsy (and her family to a lesser extent) began to develop a friendship with the exiled leader. It helped that both sisters had studied French during their schooling in England, so they became translators for whatever dialogue was necessary between the Frenchman and his English-speaking overseers. Napoleon was met with expected skepticism and ill regard when he arrived at St. Helena. Betsy constantly refers to him as an Ogre, a Monster, a Universal Demon, and the Phenomenon, but eventually the Balcombe family uses the letters OGF referencing him, meaning Our Great Friend. It’s not too long before we see Napoleon playing with the two young girls—yes, playing with them. Betsy herself is described as “the childhood playmate Napoleon had never had.” Her ability to speak French facilitates this. We catch glimpses of Napoleon’s shyness, his surprisingly good cheer, revealing a practical joker. And then, rather abruptly, the natural friendship is ended by the completion of Longwood, after which time it’s much more difficult for Betsy (and her family) to see the captive in their midst. Napoleon moves to the side for a significant part of the story as other events on the island are delineated. We are told that he had numerous visitors, mostly passengers from the ships stopping temporarily at the island. There are constant rivalries among the British functionaries who run the island and make certain that Napoleon is not able to escape. These jealousies eventually lead to Betsy’s father being removed from his position for the East India Company and the family’s return to England. Just before that a surprising incident takes place—not the anticipated seduction of Betsy and/or her older sister as we might have assumed. After they depart, Napoleon dies, in 1821 at age 51, but the story has already moved on to the Balcombe family and the fates of each of them. I had hoped to enjoy Napoleon’s Last Island more than I did. It’s an impressive account of Betsy Balcombe’s encounter with a bigger-than-life character, who would be a challenge for any writer to understand and present with any neutrally. I found the action often pedantically slow in spite of the insights into Napoleon’s character, rounding him out in a Dickensian way. Betsy is obviously much more lively but a minor historical figure. My reservations, I am certain, will not dissuade devotees of historical fiction from reading the novel. Hillary Actually Won: Professor Mark Crispin Miller Reveals Election Fraud! Lee Camp interviews this brilliant academic to find out exactly how our elections are compromised and how our most basic democratic right has been ripped away from us. Can't Believe Trump Won? Don't Believe It! The system, called Crosscheck, is detailed in my Rolling Stone report, “The GOP’s Stealth War on Voters,” 8/24/2016. Trump signaled the use of “Crosscheck” when he claimed the election is “rigged” because “people are voting many, many times.” His operative Kobach, who also advised Trump on building a wall on the southern border, devised a list of 7.2 million “potential” double voters—1.1 million of which were removed from the voter rolls by Tuesday. The list is loaded overwhelmingly with voters of color and the poor. Here's a sample of the list. Note: Watch the four-minute video summary of Crosscheck. The investigation and explanation of these methods of fixing the vote can be found in my book and film, The Best Democracy Money Can Buy: a Tale of Billionaires & Ballot Bandits (2016) – Request a screener. As of 3pm today, Nov 10th, the Nathan E. Stewart continues to spew heavy oils into the water. 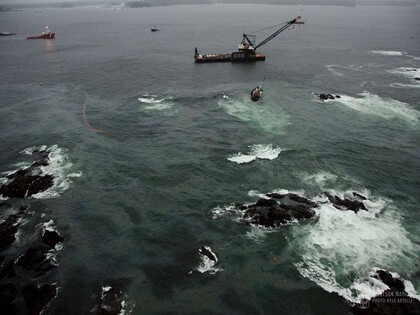 Dragging the tug across the seafloor appears to be releasing more oils than in previous days. There are booms in place to contain the oils but as you can see it is only so effective. Salvage operations will continue through the night. Hopefully in the morning the dirty tug will finally be raised from Heiltsuk waters. John Pilger tells us what has been revealed by Trump winning the US election. Plus, what does a Donald Trump presidency mean for the Middle East? 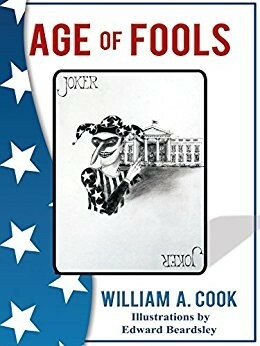 Age of Fools by William A. Cook is a hard book. It reads like a block of granite, unyielding, unsympathetic, difficult, harsh, cynical in the way that stone can be, yet strangely monumental in its cynicism, leaving the reader full of awe at the grandeur of its criticism. The tone of its author Cook reminds me of Robinson Jeffers, the gray bearded prophet standing in the storm, arms raised, howling against the foibles and stupidity of the human race, or, perhaps, the later cynical Twain, to whose “War Prayer” Cook refers. The particular part of the human race which is the focus of condemnation in Age of Fools is the “cabal” of the members of the George W. Bush administration, particularly the Neo-Cons, and particularly their prosecution of the war in Iraq and their single-minded support for the state of Israel. In short, Age of Fools is a 342 page condemnation in the harshest of terms, in the aftermath of 9/11, of Ariel Sharon’s and Ehud Olmert’s persecution of the Palestinians and in turn, a condemnation of “the incestuous relationship that exists between the U.S. and Israel,” and the destruction of the Palestinians that that relationship has produced. This is hardly an unbiased history. This is acceptable given its intent but occasionally this rankles. Cook, for example, continually refers to the Bush administration as “evil,” and the use of that word, I think, stretches the bounds of criticism and seems fraught with difficulty. I objected to Bush’s use of “Evil Empire” to condemn those he opposed, and while I agree with Cook that the Bush administration was unconscionable in many of its actions, yet I find Cook’s use of the term just as objectionable. The grand and awe-inspiring part of the book is its monumental condemnation of the Bush administration; its confusing and irritating part is its format. Based in the tradition of literary criticism of the foibles of society, beginning with an obscure (to most readers) 15th century work Narrenschiff (Ship of Fools) by Sebastian Brant, the majority of Age of Fools is apparently a series of articles that Cook has written for various internet publications over the course of some time. In his attempt to fuse these “polemics” into a whole, Cook has decided not to specifically identify these articles and has instead left the reader with a confusing sense of time, as all the articles (chapters) are in the present tense, whether that time is 2001, 2005, or 2008. Because these were at one time articles, they also tend to repeat a great deal of information, with the result that the reader feels he or she is being continually beaten with the same political stick. Ultimately Cook asks and asks continually whether a “small religious group” whose “God dispensed real estate to their forbears centuries ago” has the “right to confiscate that land from people who have lived on it and worked it for over two thousand years.” Cook claims, rightly, that this is at the core of the continuing crisis in the Middle East and that until the world can figure out how to resolve it, it is condemned to failure. The magnificence of Age of Fools is its ability to elucidate this problem; the tragedy of the book is that those who most need enlightenment will never read it. Moscow - Swiss neutrality has as many holes in it as Swiss cheese. No holes in the Bear’s neutrality. From the beginning to the end, this website has not mentioned the words Donald Trump, not even once. What was news we did report before anyone else – and that was the criminal receipt by Bill, Hillary and Chelsea Clinton of more than $13 million in funds stolen from a Russian insurance company by the Ukrainian oligarch, Victor Pinchuk. Here is where that story began on February 17, 2014. That was just four days before the putsch in Kiev started the US war against Russia on the Ukraine front. Since then, the special relationship between Pinchuk, the stolen money, and Hillary Clinton can be followed in the release of emails Clinton sent or received. Click to open the full State Department dossier. As of November 4, 2016, there are 47 messages referring to Pinchuk. Reporters from the Wall Street Journal and the New York Times refused to investigate Pinchuk’s theft of more than $100 million from the Rossiya Insurance Company in Moscow. At the time, incidentally, so did the research director of the Republication National Committee. The Dakota Access Pipeline was originally scheduled to cross the state of North Dakota north of Bismarck, the state capital (pop. 70,000). 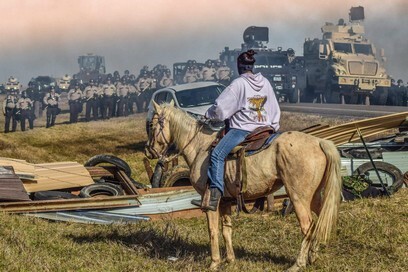 But then the route was shifted 40 miles south, to the south, to pass by the Standing Rock Sioux reservation (pop. 8200). This is sovereign territory of the Sioux, whose reservation straddles North and South Dakota and whose members include Hunkpapa Lakota and Yaktonai Dakota. The earth has been shifting under our feet for a while, but all liberals want to do is desperately cling to the status quo like a life-raft. Middle- class Britons are still hyperventiliating about Brexit, and now middle-class America is trembling at the prospect of Donald Trump in the White House. And, of course, middle-class Americans are blaming everyone but themselves. Typifying this blinkered self-righteousness was a column yesterday, written before news of Trump’s success, from Guardian journalist Jonathan Freedland, Britain’s unofficial stenographer to power and Washington fanboy. He blamed everyone but Hillary Clinton for her difficult path to what he then assumed was the White House. Ladies and gentlemen, a few hours ago, the presidential election ended in the United States of America. We followed this election closely. 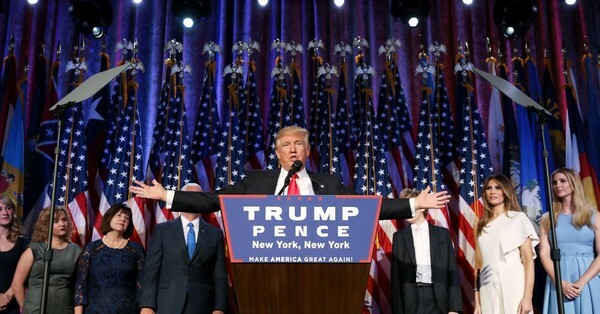 I want to congratulate the American people on the end of this election cycle and congratulate Mr Donald Trump on his victory in the election. We heard the statements he made as candidate for president expressing a desire to restore relations between our countries. We realise and understand that this will not be an easy road given the level to which our relations have degraded today, regrettably. But, as I have said before, it is not Russia’s fault that our relations with the United States have reached this point. Russia is ready to and seeks a return to full-format relations with the United States. Let me say again, we know that this will not be easy, but are ready to take this road, take steps on our side and do all we can to set Russian-US relations back on a stable development track. This would benefit both the Russian and American peoples and would have a positive impact on the general climate in international affairs, given the particular responsibility that Russia and the US share for maintaining global stability and security. Donald J. Trump is the next president of the United States. His stunning victory over Hillary Clinton came after he had first crushed the Republican Party establishment, steamrollering all the candidates it put forward and defeating party leaders’ concerted efforts to deny him the nomination as he rolled up victory after victory in that party’s primaries. But Trump did more than that. He also, along with Vermont Sen. Bernie Sanders, smashed the Democratic Party establishment too. Trump’s win in traditionally Democratic strongholds like New Hampshire, Pennsylvania and Wisconsin, and his near win in Minnesota, not to mention his victories and near wins in states like Florida, Ohio, Michigan, North Carolina and Virginia, all a result of the Democratic Party’s failure to energize it’s critical base in black and Latino communities, have exposed the total bankruptcy of a party whose leadership long ago abandoned the poor, the working class, African Americans, Latinos and organized labor, working on a now thoroughly discredited assumption that it would automatically win those votes anyhow because those “little people” would have no place to turn but to the Democrats. The Democratic Party establishment this election cycle threw any shred of principle to the wind in orchestrating the nomination of Hillary Clinton, surely the most disliked candidate to run on a major party ticket in history. The party did this knowing that it was promoting a candidate who had a tin ear for the issues of ordinary people, who was demonstrably corrupt and dismissive of laws and ethical standards, and who was actually under investigation by the FBI the whole time she was running in the primaries. We know, thanks to principled Democratic Party leaders who quit like Hawaii Rep. Tulsi Gabbard, the vice chair of the Democratic National Committee, and to emails leaked by Wikileaks, that the DNC worked assiduously throughout the primary season to undermine Bernie Sanders’ insurgent primary campaign. The DNC and the Clinton campaign -- actually facets of the same malignant organization -- did this by scheduling early debates at times, like during the Superbowl, when few people would be paying attention, by working with corrupt mainstream journalists to plant hit pieces on Sanders, resorting to cheap red-baiting, lying about his history of civil rights activism, and questioning his mental abilities, and even resorting to voter suppression -- usually a tactic favored more by Republican Party operatives. When this DNC bias and manipulation of the primary campaign was exposed, forcing the resignation of DNC chair Debbie Wasserman-Schultz, Clinton immediately made that disgraced Florida congresswoman the titular head of her own campaign, demonstrating her utter contempt for ethics and for the Democratic base. Nor was Clinton’s stolen party nomination the only corrupt act of the DNC. It also successfully defeated primary efforts by a number of aggressive popular, progressive Senate candidates who could have helped the party retake the Senate by running well-funded corporatist party hacks like Evan Bayh in Indiana and Katie McGinty in Pennsylvania, against those progressive candidates. In each case, these hacks went on to lose their races, leaving the Senate in Republican hands. Hopefully, this highly visible corruption at the top of the Democratic Party will lead to a real effort to chuck this sclerotic and wholly corrupted organization and replace it with a genuine party of working people, the poor and minorities on the left. That long-overdue project needs to begin immediately. But back to other silver linings of the Trump presidential win. 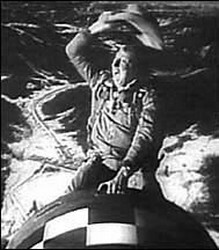 Most importantly, it seems likely that we will no longer have to worry about the US going to war with Russia. While Hillary Clinton, with her stated desire to establish a “no-fly zone” in Syria that even leading generals said would mean “war with Russia,” Donald Trump throughout the campaign made it clear that he did not want the US confronting Russia. He said, to the consternation of most establishment Republicans, that he thought the two countries “should be working together.” That view, if he is serious, bodes well for Syrians, and for Ukrainians as well. Trump has also condemned NATO, which since the collapse of the Soviet Union has been converted into a military adjunct to aggressive US efforts around the globe to sow chaos, mayhem and regime change -- something Trump has opposed. With luck Trump, who recognizes that Americans do not want endless war, may act to neuter NATO, hopefully by withdrawing US funding for the organization and allowing it to fade away -- something that should have happened in 1990 when the Berlin Wall came down. Ramping down US imperial over-reach, which has caused the deaths of millions of innocents over the last decade and a half alone, angered nations and people around the world against the US, and cost Americans over $4.5 trillion since 2001, would be reason enough to cheer Trump’s victory. But revoking the so-called Affordable Care Act and leaving Americans to their own devices in an unregulated private insurance market would be another plus. The ACA, which is already becoming, to quote Trump, a “disaster,” with rates soaring 25% this year for many low income people, and with plans offering ever higher deductibles and worse coverage, was an insurance-industry boon that threatened to make a shift to a nationalized health plan impossible to achieve. By undoing it, as he and a Republican Congress have vowed to do, we can expect demands for a Canadian-style system to soar in no time, perhaps handing a key campaign issue to any new progressive party. On the economic front, Trump has made it clear that he will oppose the pending Trans Pacific Partnership (TPP) and that he wants to undo or renegotiate earlier job-killing trade agreements, most notably the North American Free Trade Agreement (NAFTA). 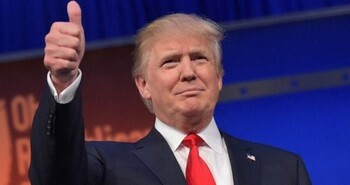 If he is serious about this anti-globalism policy, and acts on it, it will be a huge victory for working class Americans of all races, and a huge blow to the Democratic Party, which since the Clinton presidency has embraced the idea favored by corporate America that shipping production overseas to cheap labor countries was sound economic policy. Trump also spoke during the campaign of the need to raise the minimum wage, and in years past even supported a tax on wealth. If he does either or both of those things he will be a working class hero. But then, there’s no telling whether he was just campaigning, and will forget these ideas once in power. Of course, there is no denying that Americans have elected a racist, misogynist, xenophobic narcissist, and that his successful campaign has made at least overt racism and anti-immigrant bigotry, if not overt sexism, socially acceptable. It will be critical for progressives and for the impacted groups themselves to organize a mass movement to resist these trends, as well as policies, like the overturning of women’s right to control their own bodies, and the right of people of color to quality schools and to be safe from aggressive, militarized policing. These are important concerns but they also expose the rot of the political system, which was allowed these trends to develop and fester for years. On balance though, I would argue that Trump’s victory and his drubbing of a Democratic Party that has been fleeing from its New Deal and Great Society past for decades, is what is needed if we are to have any hope of restoring any kind of popular sovereignty in a US that was sleep-walking into a kind of corporatist oligarchy. Trump, along with the Sanders movement during the Democratic primaries, effectively tossed a Molotov cocktail into that whole system. Bernie Sanders has said that the real “political revolution” he was calling for during his primary campaign would begin after the election. Of course, he was envisioning it being to put pressure on a President Hillary Clinton to live up to her campaign promises and the Democratic Party’s platform, not to oppose a Trump Presidency’s policies. Because he made the horrendous mistake of betraying his 12 million ardent supporters by surrendering his campaign before the Democratic Convention and by then converting himself into an active supporter of the very woman who had corruptly undermined his campaign and lied about him personally, ignoring his earlier spot-on indictment of her as a corrupt tool of the big banks and big corporations, though, he has lost much of his political appeal at this point. Nonetheless, his call for a political revolution remains correct. We who had hoped Sanders could win the Democratic nomination, can look back and decry his gutless and politically disastrous decision not to accept Green Party leader Jill Stein’s offer to him to accept her party’s presidential nomination and run against Trump and Clinton in the general election, which he might well have won in such a three or four-person race. But that’s all history now. At this point, it’s on all of us on the left, and in the rest of the Democratic base -- the working class, union rank-and-file, people of color, immigrants, feminists, environmental activists and peace activists, to pick up the pieces and to build a movement of resistance and a new political party of the left to keep socialism on the political agenda in America and to fight for real progressive change and real democracy. The latest neocon/liberal-hawk scheme to risk nuclear war to protect corrupt politicians in Ukraine and Al Qaeda terrorists in east Aleppo, two rather dubious reasons to end life on the planet. Obviously, I never wanted to see a nuclear war, which would likely kill not only me but my children, grandchildren, relatives, friends and billions of others. 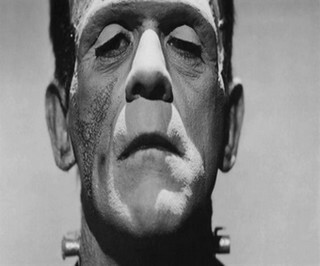 We’d be incinerated in the blast or poisoned by radiation or left to starve in a nuclear winter.